Mermaids have trouble with some yoga poses, but they can accomplish others with ease. 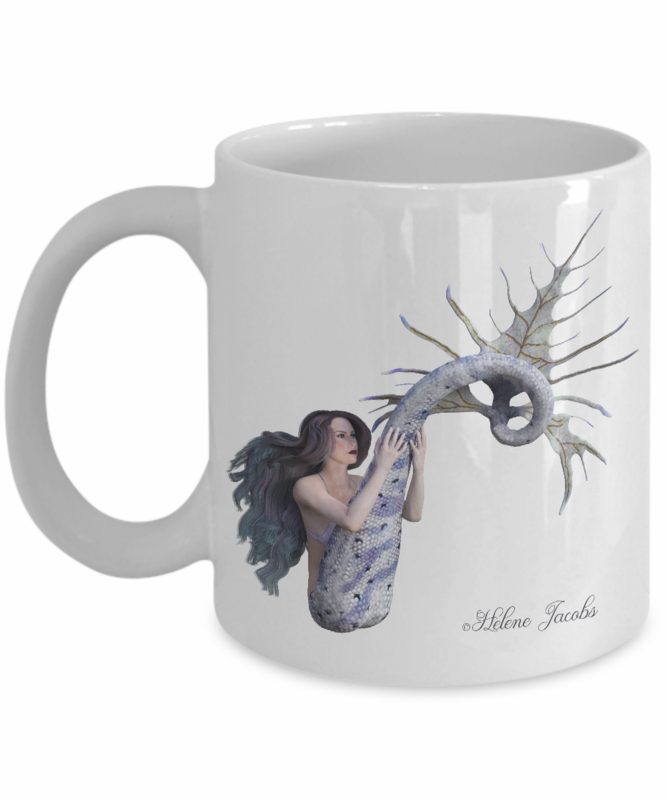 This ceramic mug features original artwork by Helene Jacobs. Click BUY IT NOW and Order Today!